The Arrowhead Artists and Artisans League (A3L) in Old Fort, NC, recently held its 2014 Battle of the Brushes, a plein air art competition, where nearly 20 artists painted scenes of the Old Fort area. 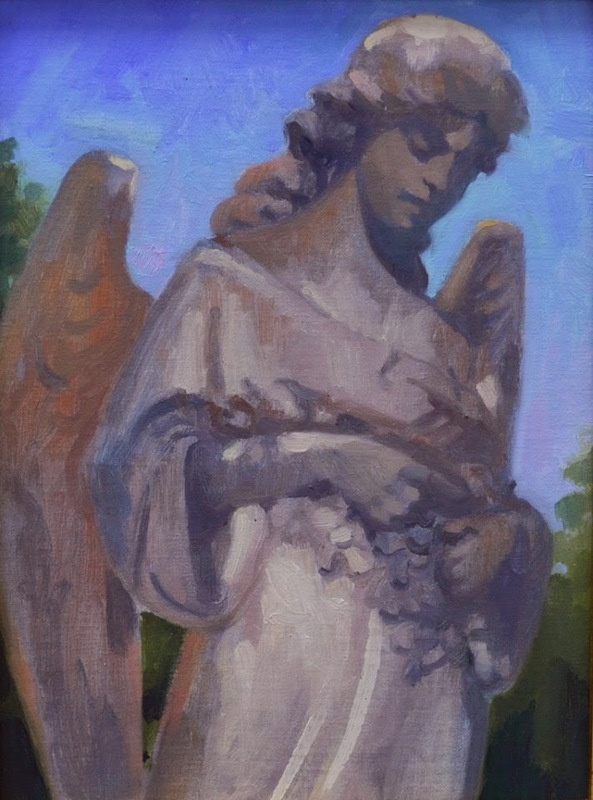 Judges chose Judy Meyler’s depiction of the Thomas Wolfe Angel statue in the Old Fort Cemetery as the first place winner. Love the colors! Judy’s work also garnered her the Arrowhead Award, which honors the painting that best captures the essence of Old Fort, as well as the Mayor’s Award. 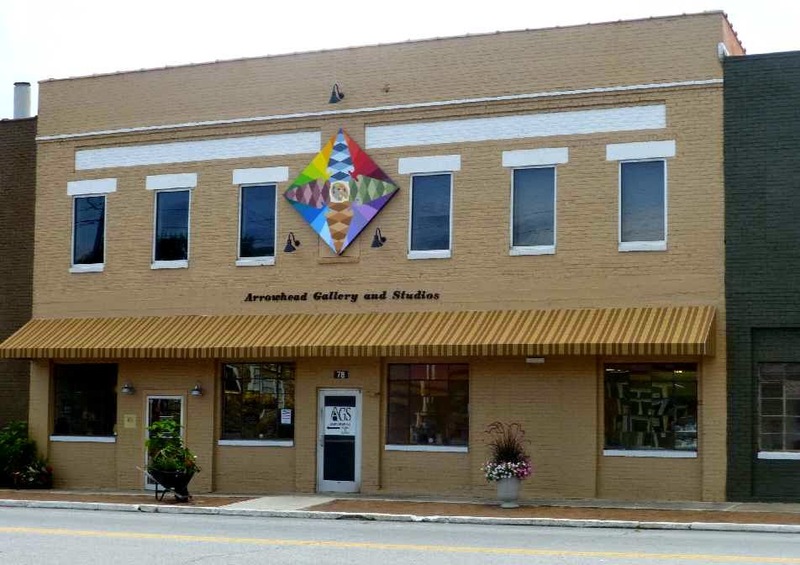 You can view all of the artists’ works on the A3L Facebook Page and in person at the Arrowhead Gallery & Studios on Catawba Avenue in Old Fort. A3L will be awarding a People’s Choice award in October, chosen by the public, so you can vote for your People’s Choice winner until October 27. This entry was posted in Uncategorized and tagged art, Old Fort / Andrews Geyser by Inn on Mill Creek. Bookmark the permalink.